What makes a great 12th wedding anniversary gift? 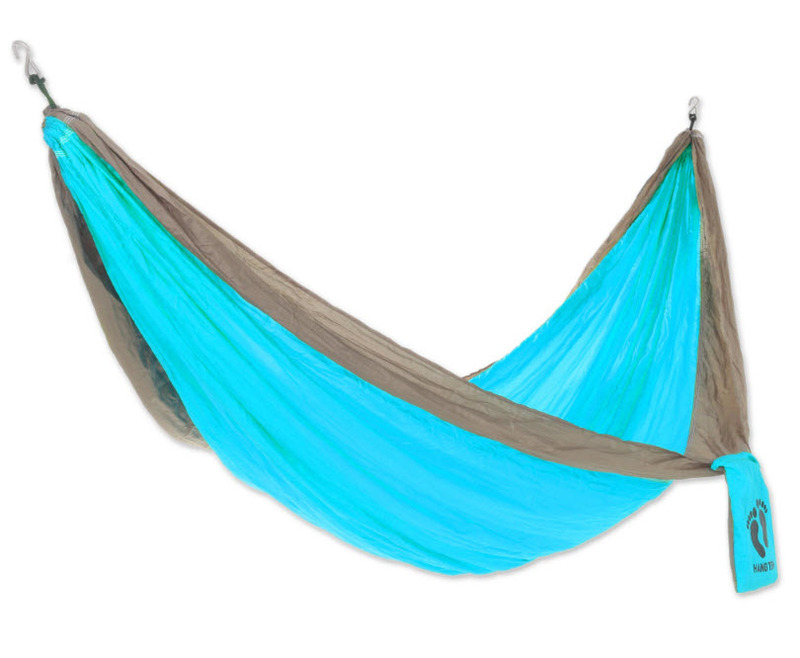 The meaning behind silk as the Twelfth Anniversary Gift is that it is a symbol of the thousands of threads holding you both together and strengthening your marriage. It is also beautiful just like the two of you. Silk roses for your 12th anniversary would be very romantic. 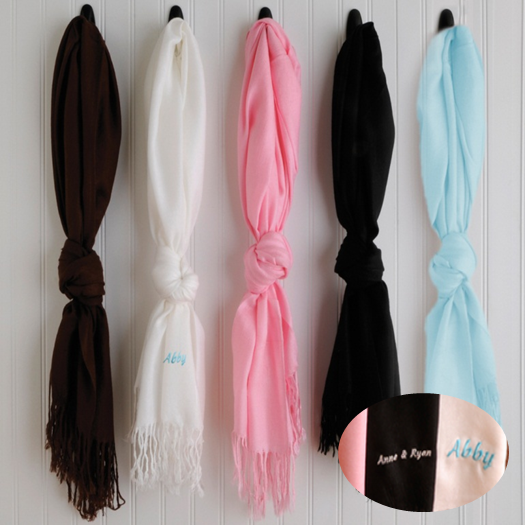 Silk pashminas are a big favorite, they are trendy and practical all in the same time. These are available to buy in our Anniversary Gifts Store and are even more special as you can personalize them with your wife's initials or your own Happy Anniversary message. One husband even ordered two so he could add everything he wanted to say. Jewelry makes a great gift and we can keep the traditional theme by sending your gift in a gift box with a silk ribbon. Just let us know when you check out if you want your jewelry gift wrapped. 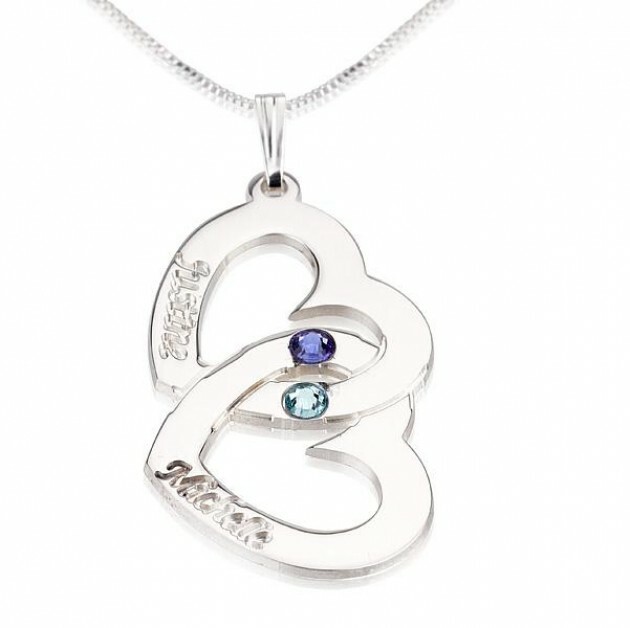 Shop for your Anniversary Jewelry here. if you are buying for your wife then think silk underwear, you can also get some great silk dresses but buy carefully as this is a very personal choice. Silk ribbons are a great way to wrap your gift, a beautiful necklace or a jewelry box tied with a pretty silk ribbon would be perfect. If life was a movie you would be tying a silk bow to a set of car keys!! In reality the idea of any man tying a silk bow to any gift is almost verging on the extreme, but it would be a lovely gesture. Silk sheets would also be a fun way to celebrate your 12th wedding anniversary! 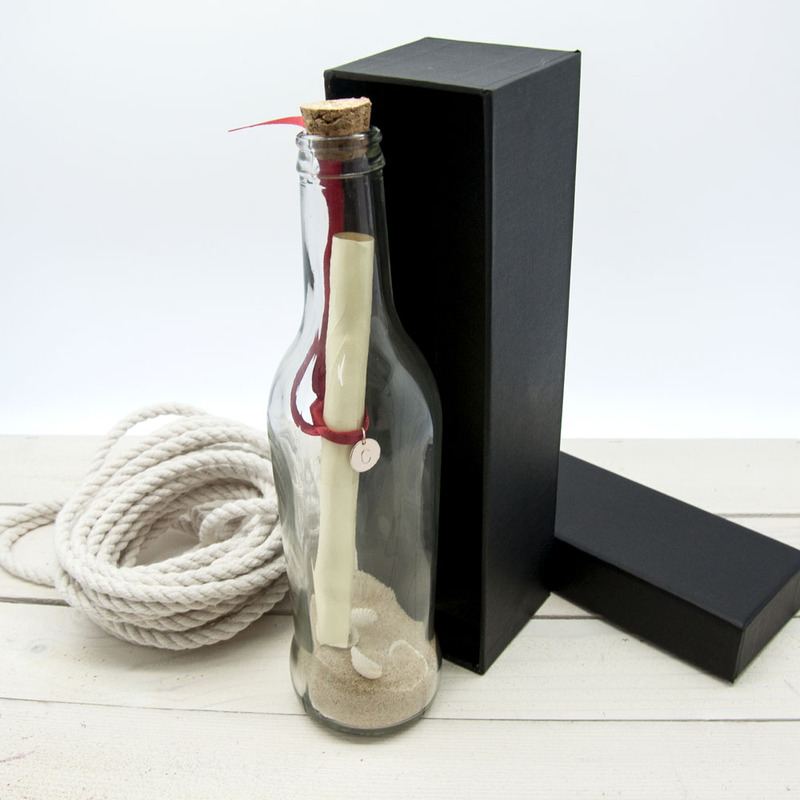 One very romantic gift for your twelfth anniversary is to send a message in a bottle. The scroll is tied with a silk ribbon and personalized with your initial so it definitely fits with the theme! Plus after 12 years together you will have lots of memories and love to write about. You can customize your own message here and we will send it for you. What Do You Buy Your Husband For Your 12th Anniversary? With the symbol being silk there are quite a few gifts for men, from traditional to sporty and somewhere in between! Plus there are quite often silk sports kit as it is unbelievably strong. You can also use the silk theme to travel to the Far East where silk is a popular fabric, just think of the silk souvenirs you could bring back. Jade is the gemstone for your 12th Anniversary and many cultures believe it brings good luck to the wearer. Plus jade can be truly beautiful. For more modern ideas for your 12th wedding anniversary gift you could celebrate with pearls, have a look at our article on pearl gifts by following the link below. Pearls are normally associated with your 30th wedding anniversary but the modern list is a great way to get your gifts early! You could also use the number 12 for your anniversary gift and have a dozen roses sent to your loved one or find 12 personal gifts that your spouse can open through the day.